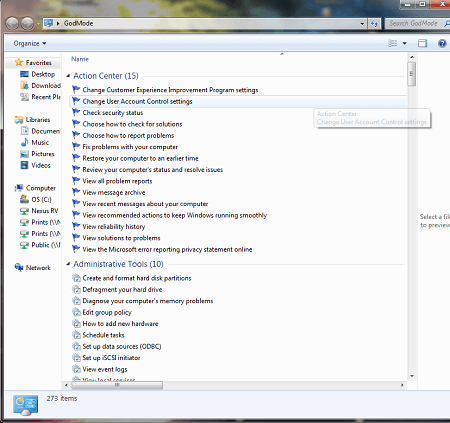 From this folder you will have access to Action Center tools which includes things like user account control settings. You will also have access to administrative tools, backup and restore, credential manager, date and time settings, default program settings, device manager, devices and printers, display settings, folder options, fonts, settings for internet explorer, network and sharing center, performance information and tools, program settings, account settings, and much more. 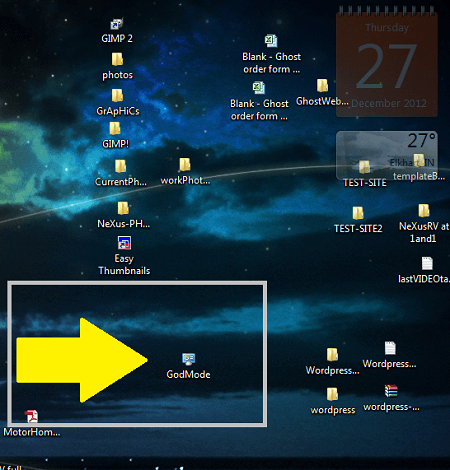 So try out God Mode in Windows 7 if you like to have one central location for all of the administration options. This entry was posted in Computer Article, Computer Discussion, Computer Lessons, Computer Skills, Computer Tutorials, IT Tutorials, Operating Systems, Shane Zentz, Uncategorized, Windows 7 and tagged god mode, god mode in Windows 7, How to Access God Mode Windows 7, Microsoft OS, New Features in Windows 8, New OS, Operating Systems, Shane Zentz, Windows 7 Secrets, Windows 7 Tricks. Merely wanna remark on few general things, The website style and design is perfect, the content is real great : D.
Outstanding post, you have pointed out some good details , I besides think this s a very great website. I like your writing style truly loving this web site . I was reading some of your posts on this site and I believe this website is rattling instructive! Keep on posting . As I website owner I think the content here is real excellent , thankyou for your efforts. It’s the best time to make some plans for the future and it’s time to be happy. I have read this post and if I could I desire to suggest you few interesting things or advice. Perhaps you can write next articles referring to this article. I want to read even more things about it! I really enjoy looking through on this website , it has got wonderful content . I think this site has some really great info for everyone : D.
Its such as you learn my mind! You seem to understand so much about this, such as you wrote the guide in it or something. I think that you just can do with some p.c. to force the message house a bit, however instead of that, this is great blog. A great read. I’ll definitely be back.